Introduced back in 2015, the A series was Samsung’s answer to all its suddenly many and newly found rivals in the mid-range market. Since then, this line of phones has become a yearly force in what is a truly competitive segment. The Samsung A7, along with the A5, were the pioneers in this line. Now let’s see how the newest version fares. Sporting an Exynos Octa-core CPU clocked at 1.9 GHz (Cortex A53), plus the Mali-T830 MP3 GPU under the hood, this iteration is unsurprisingly a step up from its predecessors, but necessarily so, considering this year’s competition. The more notable upgrades though are the bigger 5.7 screen, roomier 32GB internal storage, and more powerful 16 MP cameras on both front and back. The fingerprint sensor also returns along with a variety of new color models to choose from (Black Sky, Gold Sand, Blue Mist, Peach Cloud). Rumored to be priced at around $424, the newest A7 is certainly not gonna win points for price. Still showcasing the same external design signature as its predecessors plus the basically mandatory hardware upgrade, one would be hard-pressed to say this is going to turn any heads. There are surely more competitively priced options out there (and will come out as the year progresses). But if you’ve been a Samsung user and have come to expect a certain standard of quality and customer service, this is a phone that is definitely worth a look if you can’t (or won’t) spend the big bucks for the flagship models. 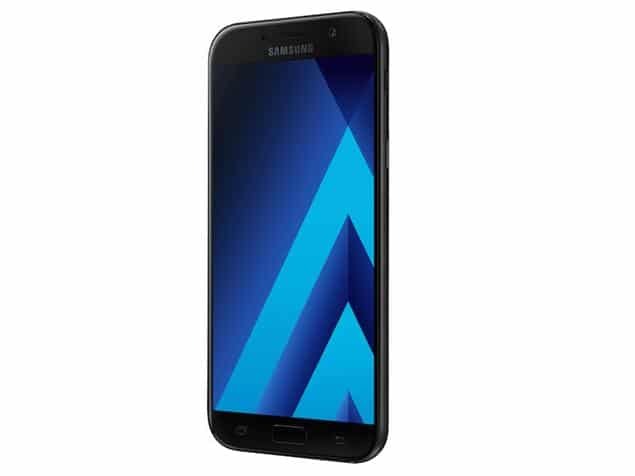 Samsung Galaxy A5 (2017) Price In Nigeria ranges from N100,000 to N190,000. You can also buy in Kenya starting from KSh38,000.